Planning a fun get-together with friends? 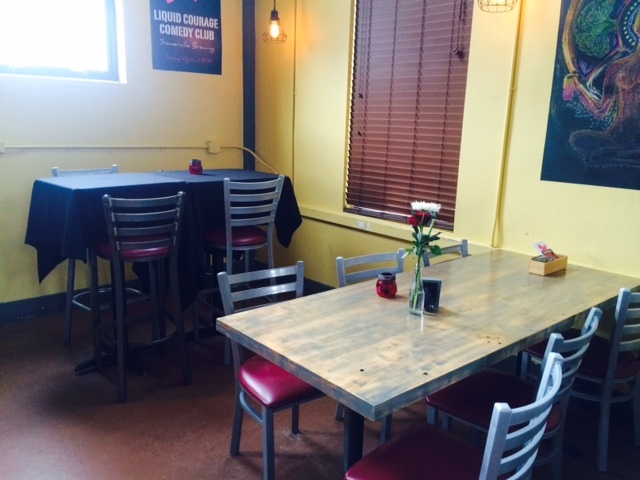 The Brewer's Corner is a great spot for small birthday groups and celebrations! In this space, you can reserve four hightop tables for food and seating. This section can accommodate up to 8 people seated and 20 people standing. January - November: Minimum of $12 per person in food from our Group Sharing Menu, plus tax and 18% gratuity. December: Our event minimums in December are varied due to high holiday demand. Please fill out the contact form or email reservations@slumbrew.com for more information. To inquire about booking and availability, please fill out the form below. Thanks for requesting to book your event with American Fresh Brewhouse!